Dan Jenkins' second best-known novel, Baja Oklahoma, features protagonist Juanita Hutchins, who can cuss and politically commentate with the best of Jenkins' male protagonists. Still convincingly female, though in no way dumb and girly, fortyish Juanita serves drinks to the colorful crew patronizing Herb's Cafe in South Fort Worth, worries herself sick over a hot-to-trot daughter proving too fond of drugs and the dealers who sell them, endures a hypochondriac mother whose whinings would justify murder, dates a fellow middle-ager whose connections with the oil industry are limited to dipstick duty at his filling station - and, by the way, she also hopes to become a singer-songwriter in the real country tradition of Bob Wills and Willie Nelson. That Juanita is way too old to remain a kid with a crazy dream doesn't matter much to her. In between handing out longneck beers to customer-acquaintances battling hot flashes and deciding when boyfriend Slick is finally going to get lucky, Juanita keeps jotting down lyrics reflective of hard-won wisdom and setting them to music composed on her beloved Martin guitar. Too many of her early songwriting results are one-dimensional or derivative, but finally she hits on something both original and heartfelt: a tribute to her beloved home state, warts and all. 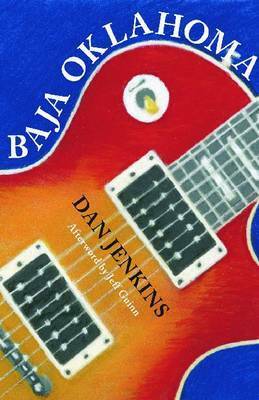 DAN JENKINS is the author of best-selling novels, non-fiction, and newspaper and magazine pieces. A native of Fort Worth and TCU graduate, Jenkins was a nationally acclaimed senior writer for Sports Illustrated. He currently writes a column for Golf Digest and is official historian for the National Football Foundation and College Football Hall of Fame.